Home » Blog » Is your landscape making you vulnerable to crime? Is your landscape making you vulnerable to crime? When we think of security and crime prevention, what are the first things that come to mind? Would you be surprised if I said that perhaps one of the first things you should be looking at is trees and plants and the role they play in either encouraging or deterring crime? In this article we are going to explain why you should take another look at the greenery around the workplace and take you through a visual example of one of our latest projects and the associated recommendations. You may not have heard the phrase before, but its principles are quite simple and are broadly adopted by Police, local government and business. CPTED, or Crime Prevention Through Environmental Design is a well-recognised approach to deterring criminal behaviour through environmental planning. The phrase was coined in the early 1970’s but it was not until the 1990’s that the principles of CPTED started to be more broadly considered. In Australia, the value of CPTED is gaining greater recognition all the time. 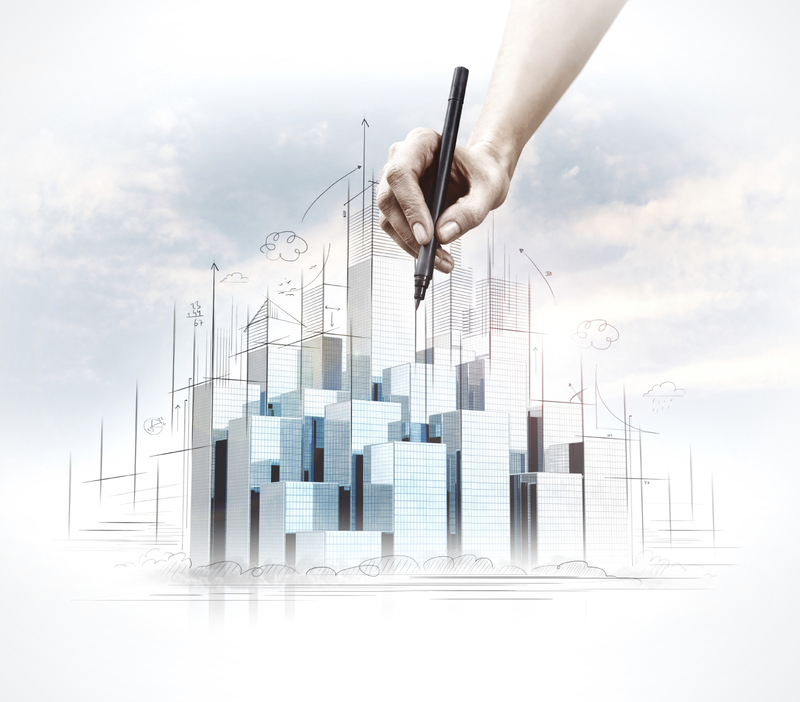 CPTED reports are often a mandatory requirement in many design and town planning applications. Building developments that are large in size or deemed high-risk will often have to address CPTED before any construction permits are issued. Crime Prevention Through Environmental Design is a well-recognised approach to deterring criminal behaviour through environmental planning. As part of every risk assessment we undertake, we will always evaluate the property from a CPTED perspective. In the CBD it can be difficult to positively influence CPTED because the built environment is very structured. In the suburbs, we will often have far more flexibility and control. It is accepted that a person is less likely to commit a crime if there is a chance that they could be seen doing it. So the better the level of visibility in a given area, the less likely it is to be a target of crime. The placement of trees and shrubs as well as lighting can have an enormous effect on natural surveillance as can window positioning in neighbouring properties. For people to feel safe, they need to be able to have a good view of their immediate environment and to be aware of what is going on around them. Anything that restricts views or casts shadows can negatively impact natural surveillance. This is the practice of controlling pedestrian movements by adjusting the landscape to form natural pathways. This can be achieved by a change of texture in path materials, markings and signage, lighting and even street furniture and trees and shrubs. It can often be achieved in a very subtle way so that people will not even notice it has occurred. Territorial reinforcement is the use of physical attributes such as retaining walls, plantings, lawn and fencing to demonstrate ownership. It is a natural or otherwise means of defining where the public space ends and private property begins. Appropriate building maintenance is an expression of ownership of property. Deterioration indicates less control and a greater tolerance of disorder and anti-social behaviour. The “Broken Windows” theory is a principle adopted by crime prevention specialists worldwide. The theory is that the presence of a broken window will entice vandals to break more windows in the affected building and even in neighbouring buildings. The sooner broken windows are repaired, the less likely it is that such vandalism will occur in the future. Graffiti and other forms of vandalism also fall into the broken windows theory. The faster the graffiti is painted over, the less likely it is to repeat because evidence of its presence has been removed. Having a positive building image represents ownership and it can positively impact low-level crime. So, now that we have defined what CPTED is, I will show you how trees and shrubs need to be considered from a security and risk perspective, particularly in relation to natural surveillance. We are currently undertaking a series of risk assessments for a national client of ours. They have a number of commercial properties that can operate 24hrs a day during peak periods. The properties are quite nondescript and to date have had few issues with crime. Staff safety was a major consideration of the reviews. In the below image is the property in question. 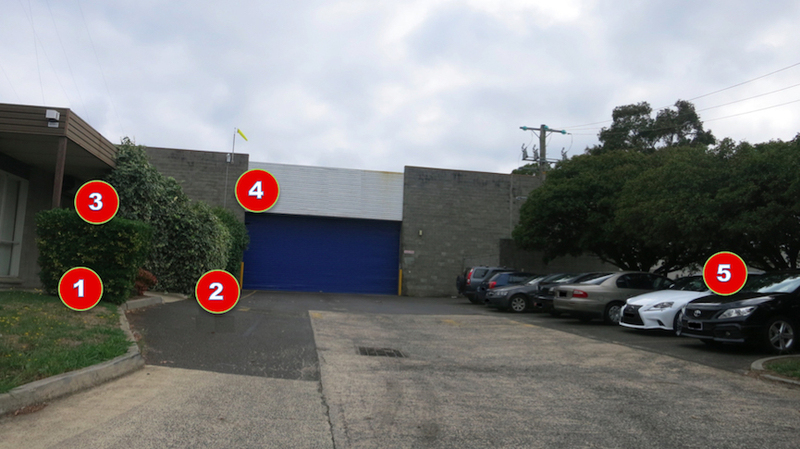 It is typical of many properties that are located in industrial estates all around Australia. It consists of offices at the front of the building and warehouse and manufacturing to the rear. We have highlighted a few areas of concern that have been addressed in our list of recommendations to the client. Shrub: This is too tall and obscures the office entry from the street. People standing behind it cannot be seen by anyone approaching the building. Path to the main office entry: Note that the taller shrubs also shield the entry from any direct lighting as well as obscuring the office windows from view. Office windows: These are fully obscured by 2 metre+ high shrubs. This not only restricts the ability of staff to see out which is a key component of natural surveillance but it also provides a perfect screen for intruders so that they cannot be seen by passing traffic. Staff arriving or leaving the workplace would be oblivious to anyone concealed in this area. Lighting: The sole source of light which only properly illuminates about 10% of the driveway. Trees: The tree foliage extends too close to the ground limiting the benefits of artificial lighting and accentuating shadows. At night people could easily position themselves under the trees and not be seen from the street. The shrub should be trimmed so that it is no taller than about 90cms. This would ensure anyone standing behind it would be clearly visible from the street as well as to staff arriving at or leaving the workplace. The taller shrubs should also be trimmed to 90cms. This will improve the lighting around the entry and increase the spatial awareness of staff and building visitors.With the trees now trimmed, staff will be able to observe what is happening in the car park. Additional lighting needs to be installed on the right hand side of the roller door. We would recommend that 15 lux should be uniformly achieved without creating additional shadows. The trees could be retained, but the foliage needs to be trimmed so that the tree canopy starts at least 2.5 metres above ground level. This will improve visibility and reduce shadowing. This is just one way that we can use our horticultural skills to improve the security and safety of our workplace. It is a quick, inexpensive fix and could be undertaken by anyone who can use some gardening shears and a hedge trimmer. And the benefits are considerable. Staff will be far more comfortable with the increase in visibility of their movements while improving their level of visibility. They can see and be seen at the same time which is a fundamental principle of CPTED. The opportunity for concealment is also removed, making the property far less attractive from a crime perspective. Intruders would be more likely to be seen loitering around the property than they would otherwise. For further information on CPTED, feel free to contact us for a chat.